At the Family Birth Center, we offer a customized birth experience in the comfort and privacy of our nurturing environment. Our team of experts supports pregnant women and their partners and families with compassion and respect through pregnancy, childbirth, bonding, breastfeeding and healing. 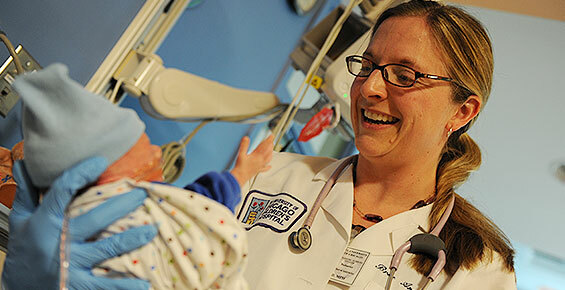 Our midwives and physicians offer a spectrum of childbirth options. We will discuss these options with you and support your preferences from the moment you arrive until the moment you take your newborn home. We offer specialized care for you and your baby at each stage of pregnancy and childbirth. Whether you're planning to conceive or are already expecting, our experienced team is here to support you all the way from preconception through pregnancy, labor, delivery, breastfeeding and postpartum care. Our team of obstetricians, certified nurse midwives, obstetric nurses, obstetric anesthesiologists, certified lactation consultants, pediatricians and other specialists will guide, care for and support you through pregnancy, childbirth and your earliest days with your newborn. We'll help you prepare for labor and delivery and learn to care for your newborn. The Family Birth Center offers classes — including several free classes and support groups — for new and expecting parents, siblings and grandparents. Baby-Friendly USA acknowledges our commitment to providing care based on the American Academy of Pediatrics (AAP)-endorsed 10 Steps to Successful Breastfeeding. Located in the University of Chicago Medicine Comer Children's Hospital on our Hyde Park medical campus, the Family Birth Center features private suites and amenities to enhance comfort and family bonding during your childbirth experience. Our team also offers prenatal care at our South Loop location and high-risk pregnancy care in Orland Park. Equipped with private delivery suites, two large natural birthing suites and state-of-the-art operating rooms, the Family Birth Center was designed to optimize your comfort, safety and options as you welcome your newest loved one. Book a free guided tour at your convenience, and try our virtual tour today. 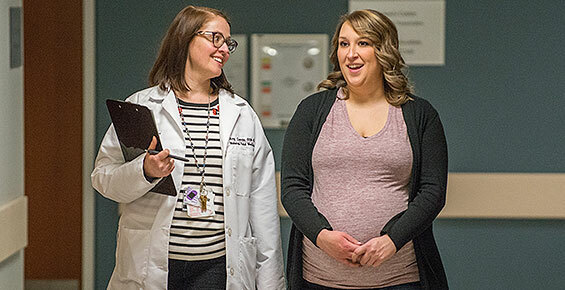 Our experts specialize in diagnosing and managing health conditions that place expectant mothers at elevated risk for potential complications during pregnancy and birth. 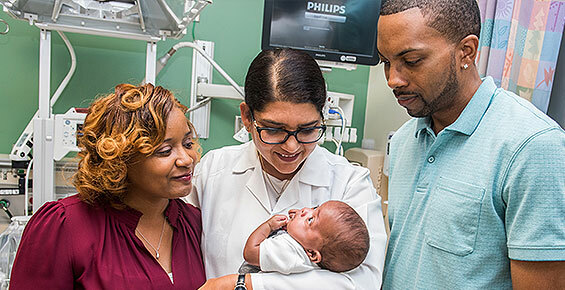 Our unique location in Comer Children's Hospital offers convenient NICU access for infants who need advanced medical care at birth.